We love the redesign for our site which will really help us both as a marketing tool but also making it so much easier to update. Code 7 were super-organised and knowledgeable which really helped us to keep on track with the project. The creative nature of the design company meant that photography is at the forefront. Dynamic high quality images form the focus of the site, and work well to showcase their impressive glass work. 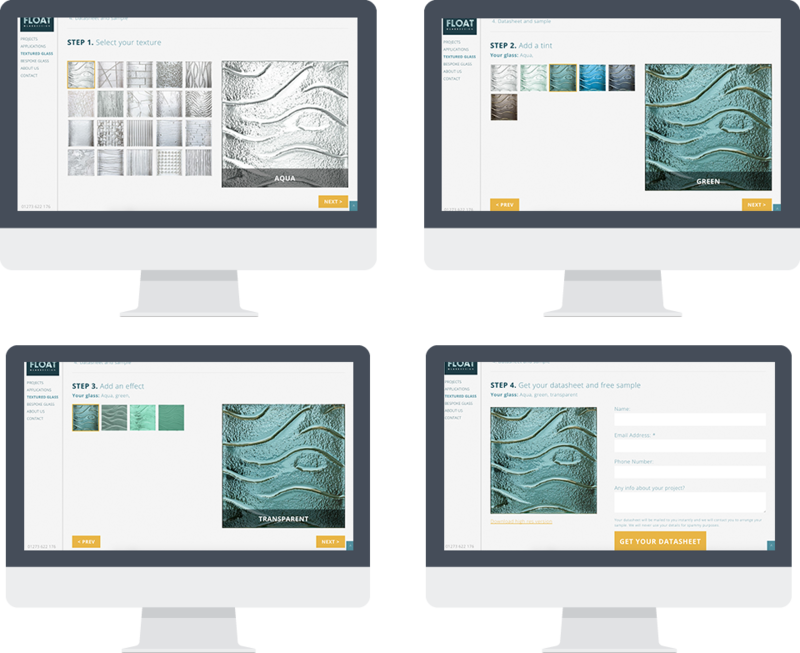 The application was an idea for an easy way to browse the large range of glass textures. 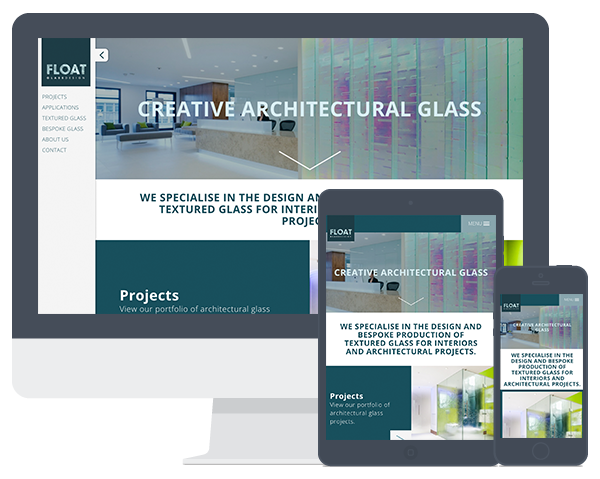 It's flexible, responsive, and can be used by both the Float Glass team and by users visiting the website. Float Glass Design are the UK's premier company in the creative glass industry specialising in the design and bespoke production of textured and gilded glass.